Ratification of the Lisbon Treaty in the European Parliament did not pass without protest, and “Too Chicken for a Referendum” was the theme both inside and outside the chamber. UK Independence Party leader Nigel Farage is appearing on the Richard Bacon show on Radio 5 at 10:00 pm this evening to debate the question of a referendum on the Lisbon Treaty with Ed Davy, foreign affairs spokesman for the Liberal Democrats. This is the conclusion of a busy day of broadcasting for Nigel, who appeared on the Jermy Vine show on Radio 2 and debated with Charles Kennedy, former Lib Dem leader, on the Radio 4 PM programme. Details of this week’s edition ofThe Record: Europe and some of the BBC Programme Highlights this week. All times are UK unless otherwise stated. Disquiet and division in the EU as Kosovo declares independence. The EU’s police and justice mission is now on its way to take over from the UN administration there but has the Union bitten off more than it can chew? This week in Strasbourg at the the European Parliament, Serbia’s foreign minister told MEPs that the decision by nearly 20 EU countries to recognise an independent Kosovo will bring instability to the region. Also on the programme – more protests by pro referendum campaigners as the European Parliament votes in favour of the Treaty of Lisbon. On the programme Nigel Farage MEP, leader of the UK Indpendance Party, Giles Chichester leader of the British Conservative MEPs and Kathelijne Buitenweg, Netherlands Green MEP debate whether the refusal to grant referendums on the Treaty by EU goverenments will backfire. Shirin Wheeler reports back on the Parliament’s session in Strasbourg. According to a British member of the Parliament’s Budgetary Control Committee a confidential internal auditors report into how MEPs pay their assistants is being cited as evidence of fraud, whilst the Parliament’s own administration has said there is no evidence to back up the claims, and that a more transparent common European contract for MEP assistants is planned. Chris Davies MEP explains his concerns. This week’s vote overwhelmingly in favour of the Lisbon Treaty prompted further protests from pro-referendum members of the Parliament. Nigel Farage, Leader of the UK Independence Party explains why he’s calling some EU governments ‘chicken’ whilst Kathelijne Buitenweg, Dutch Green MEP outlines the need for the treaty to improve the EU’s workings. The programme is also shown on Saturday at 13:30 and on Sunday 08:30 (CET). Saturdays at 5:30 am and Sundays 3:30 am. 18:05 (CET) Europe Today – Every weekday, Europe Today brings you news and current affairs from a European perspective. 1/4. Russia is back, Europe is dividing again. Tim Whewell looks at today’s conflicts and asks if Russia could be a friend of the West? 2/4. Russia is back, Europe is dividing again. Tim Whewell looks at today’s conflicts and asks if Russia could be a friend of the West? 3/4. Russia is back, Europe is dividing again. Tim Whewell looks at today’s conflicts and asks if Russia could be a friend of the West?? Clare Teal presents the BBC Big Band, conducted by Jiggs Whigham. John Simpson reports on modern China. Andrew Neil and Jenny Scott present the political stories of the day, with live coverage from the House of Commons. Includes Prime Minister’s Questions. 4/4. Russia is back, Europe is dividing again. Tim Whewell looks at today’s conflicts and asks if Russia could be a friend of the West? Chris Ledgard looks at the global war between the defenders of intellectual property and those determined to share it. The music industry has been revolutionised by the internet explosion. With free music available online, why should anyone pay for it? 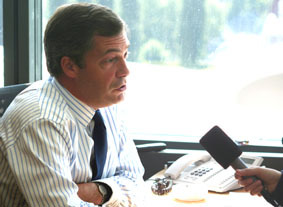 Nigel Farage, Leader, UK Independence Party, will be appearing on BBC2’s “Newsnight” programme tonight (21st February 2008). The programme begins at 10.30pm, and Nigel will be discussing MEP’s allowances. After months of dithering indecision Scottish Prime Minister “Bottler” Brown and Scottish Chancellor “Dobbin” Darling have announced that failed mortgage bank Northern Rock is being nationalized. This is something of a non-announcement because they nationalized the liabilities of Northern Rock months ago. The real change is that they have given up on the idea of presenting a crony with the chance to privatize any eventual profits, leaving taxpayers and small investors only with the losses. This follows on from the example of past Labour Governments when failed organizations are taken onto the public payroll to preserve votes, as with Rolls Royce which continued on in public ownership for eighteen years. Blair Brown Regime Ministers are at pains to avoid the N word and avoid any admission of the scale of the disaster which has grown from months of bungling and indecision. Analysts believe that Northern Rock will remain in public ownership for many years unless it is now asset-stripped to reduce the taxpayers’ losses which potentially represent a second mortgage for every British family of GB£4,000. Other banks are now becoming increasingly worried that the announcements, of how Northern Rock will be run, suggest that they will face Government-subsidized competition in an increasingly difficult marketplace, with Northern Rock encouraged to take on new risks in the knowledge that losses will be covered by the Blair Brown Regime in the interests of protecting votes in their electoral homelands. It is suspected that Northern Rock will take a very lenient view of defaulting mortgages and prove reluctant to seek repossession of homes. ROCHESTER, N.Y., Feb. 13 — Harris Corporation (NYSE: HRS), an international communications and information technology company, today introduced the first multiband land mobile radio that provides real-time interoperable communications for the growing federal public safety and homeland security market. Public safety communications interoperability has been identified by Congress, the National Governor’s Association, the U.S. Conference of Mayors and the 9/11 Commission as an urgent national priority and is a principal focus of the Department of Homeland Security. 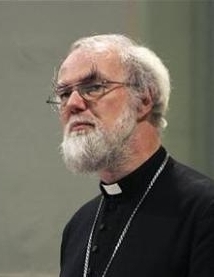 Archbishop Williams, senior Church of England clergyman, has achieved something across Britain that he has failed to achieve within his own Church – UNITY. Speaking to a slick of lawyers, Dr Williams suggested that, in his view, it was inevitable that some aspects of Sharia law would be incorporated in British law. He was immediately and widely reported, incorrectly, as advocating that Muslims should be able to ignore British laws and observe only Sharia. These reports succeeded in uniting virtually all of British society, illegal Muslim immigrants and Al Qaeda supporters in condemnation of the unfortunate priest. The reasons for each group to condemn the Archbishop are far more illuminating than anything said by Dr Williams. The issue that applied across the groups was an interpretation of what lawis. British Law is now extremely complex. Historically it was made up of Common Law, Canon Law, and Statute Law. Common Law has its basis in common tradition that stretches back more than one thousand years. Canon Law is Catholic Law as created by the Medieval Church and originally a parallel legal system that created friction between Church and Monarchy, resulting in one of Dr William’s predecessors being attacked and killed in his own Cathedral by knights acting as agents of the King. Statute Law is law enacted by Parliament and still includes laws enacted during the Middle Ages, and never repealed by subsequent laws. More recently, British Law has been joined by European Law that is currently enacted as Statute Law but is, in reality, regulation created by unelected Eurocrats in Brussels. With the signing of the European Constitution by “Bottler” Brown, Scottish Prime Minister, non-elect, British Law will disappear during the next few years and be replaced by the fundamentally different Napoleonic Code, but then Britain itself will also cease to exist, as it is carved up under the Balkanization of Europe into a series of Soviet Socialist Republics, this process having begun with the creation of the Arc Manche Republic, with its capital in Paris and comprising parts of North Western France and most of Southern Britain. Given the current progress to a European Union of Soviet Socialist Republiks, anything that Dr Williams, or any other group, or individual, may predict for British law is irrelevant because all laws affecting the British Isles will be introduced by Eurocrats and rubber stamped by the European Parliament. That Parliament is likely to be strongly anti-Islamic and influenced largely by German and French politicians. It is also likely to be a super state that is strongly centrist and protectionist. One thing that the EUSSR is likely to crack down on with enthusiasm is any attempt by any group, or individual, to avoid European Law, or any attempt to introduce any parallel legal system in rivalry to European Legal Code. The reality is that Shari is already operating in parallel within Britain. Islamic communities are ignoring British law and applying Sharia through their own courts. Honour killings and forced marriages in Britain amongst parts of the Islamic communities that have flourished under the Blair Brown Regime apartheid policies are not uncommon. Gangs are being formed on the basis of these religious ghettos, creating a militia. 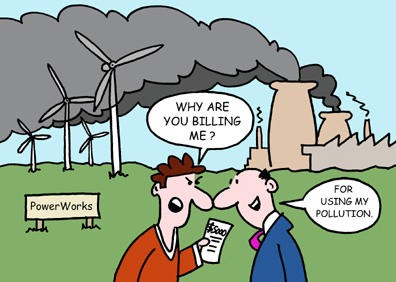 The reality is also of the adoption of Shari selectively in British regulations. Muslim men who have multiple wives are not prosecuted under the Bigamy laws, but are treated as legal multiple marriages by the Blair Brown Regime for the purposes of benefits under the British welfare systems. The further reality is that Sharia-compliant mortgages are now available in Britain which has required amendment of legal regulation of the finance industry. The British Government has also tried to make London the capital of Sharia-compliant mortgages. The difficulties caused by Dr Williams’ musings are potentially very serious and have little to do now with what he is reported as saying. The Islamic fundamentalists were quick to condemn Dr Williams because they have no intention of seeing some aspects of Sharia adopted into British Law. Their view is that Sharia is superior to British Law and should replace it entirely, with Britain becoming an Islamic State. A number of their mullahs have been happy to preach violence in pursuit of this objective. More than 40% of all British Muslims apparently want Sharia in place of British Law. The more moderate of these are suggesting that Sharia should be optional as an alternative that any individual could choose. This is confusing because some of these people apparently hope for Sharia that could be selectively chosen and not chosen as a complete and total alternative. Others amongst the number apparently want the choice to be between full British Law, or full Sharia. Putting to one side the desirability or otherwise of running two parallel legal systems, there would be some practical challenges. The critical first challenge is whether the Blair Brown Regime apartheid policies should be expanded to create Muslim areas in Britain where Sharia would apply and, if so, whether Sharia would apply to all those in those ghettos whether they were Muslims or non-Muslims. There would be the prospect of a non-Muslim adulterer being stoned to death, beheaded, or hanged on the orders of the Sharia Courts. That also raises the question of whether a Sharia Court would be able to extradite a non-Muslim from outside the Muslim ghetto on a charge of adultery that might have been committed with a Muslim outside the ghetto. In the same way, there is the question of whether a Muslim, living, or working, outside a ghetto could be charged under the Bigamy Laws for multiple marriage. There is an overwhelming case for applying British Law to every British citizen, and to every person present in the British Isles, equally and impartially. It is the right of every Briton to lobby Parliament to amend, delete, or replace existing laws. If a majority of representatives in Parliament agree, the changes will be made, until such time as laws are only made and imposed by Eurocrats from Brussels. Part of the current confusion is caused equally by ignorance and arrogance. Far too few Britons fully understand the history of British law making, or the changes taking place as that function ceases to be under the control of the British Parliament. There is also arrogance as a small minority of Islamic fundamentalists seek to impose their views on the overwhelming minority. If a Briton travels to an Islamic country, or chooses to live there, and where that country observes Sharia, the individual must expect to observe the customs and laws of that country, even if the laws and their punishments are seen as barbaric and out-dated. By the same token, a Muslim visiting or choosing to live in Britain should expect to observe the customs and laws of Britain. If the majority of Britons vote for, or accept, European Law, even if that law becomes anti-Islamic, that becomes part of the customs and laws of what was Britain. If a Briton. or someone living in the British Isles, or visiting, does not like that they can leave, as more than 3 million British born individuals already have. Britain, or more accurately England, Wales and Northern Ireland, are subject to a legal system that is not perfect but has been one of the best ever developed. What made it particularly good was that it was pragmatic and did not seek to apply itself to what people thought or what they reasonably did in private. 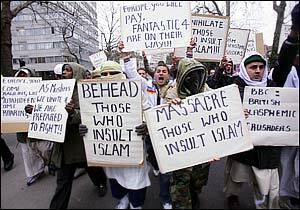 It has been one reason why Britain has attracted oppressed minorities from all over the world through the centuries. Until recently, each new wave of immigrants has adapted to the British system and integrated with the rest of the population. In the process, they have also contributed some of their original values and customs, adopted because those already indigenous to Britain were happy to adopt them. It would appear that this was the point Dr Williams was attempting to make – that not all of the Sharia is barbaric stone-age rantings and some aspects might be beneficially adopted. Common Law gives a basis of common sense. Canon Law provides an element of religious law which the majority of Britons were prepared to accept. Over the centuries this element of law has reduced, reflecting the changing religious views and the strengthening of the secular State. The conflict between King Henry II and Archbishop Beckett marked the rise of secular power over Church power. Henry VIII broke the Church in England away from the Roman Church. In the process, he firmly stamped the secular State over the religious State, but also made himself Head of the Church of England. That led to centuries of conflict between the Anglican Catholic Church and the Roman Catholic Church, with its echos still heard in the Twentieth Century. Elizabeth I created the degree of tolerance that has largely continued since then through British history. She famously declared that she had no interest in creating windows into men’s souls. What she meant was that any of her subjects were free to believe what they wanted, provided that they did not attempt to force their views on others, or use their beliefs as a justification for breaking the laws enacted by her Parliament. The British Olympics Committee have rethought their controversial attempt to gag British competitors to the Bejing Olympics. This is a reminder of the occasion when British footballers competing in the 1936 Berlin Olympics were required to give the Nazi salute. 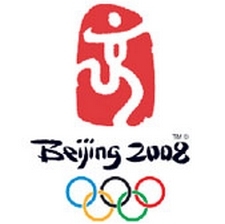 It is unclear whether this was a case of the British Olympics Committee caving in to pressure from the Chinese or from the Blair Brown Regime. Happily the adverse public reaction and the reaction from British competitors has forced the rethink. COINCIDENTALLY, just as the reefer vessel Horncliff was losing its container deck cargo in the Western Approaches, marine mutual liability insurer, the North of England P&I club reported in the latest issue of its loss-prevention newsletter Signals that container damage and loss “continues to be a problem”. The club points out that container claims can be particularly expensive. In 2006/7 North of England reported 16 cargo claims estimated in excess of US$1m; only two related to container losses but these accounted for 30% of the total value. Mr Baker says there are four principal factors behind recent incidents: failure of automatic twist-locks in lashing systems; failure to stow and secure containers in accordance with the ship’s cargo securing manual; mis-declared overweight containers; and failure to anticipate and minimise the effect of heavy weather.